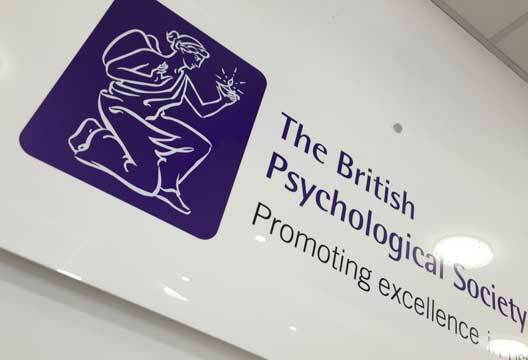 These reflections on my experience of the British Psychological Society (BPS) are based on nearly four years of formal roles with the Division of Clinical Psychology, as Director of the Professional Standards Unit (PSU) and Editor of Clinical Psychology Forum (CPF). I now no longer hold either of these positions. I hold no animosity towards the BPS and whilst I feel some of the actions have been wrong, I acknowledge that what follows are simply my own personal reflections. Different people will hold different opinions, and I would encourage any reader to seek a range of perspectives to inform their own personal view. I think to explore current problems facing the identity of our profession, it is important to look back at where we’ve come from. I’ve always had a strong sense that psychology seems to have a long history of defining itself by what it’s not; ‘not religion’, ‘not phrenology’, not philosophy’, and more recently ‘not psychiatry’. The trouble with defining oneself by what we are not, is that we never truly get a sense of what we are. The BPS came about in part as a way of trying to gain a professional identity. It was set up as a ‘learned society’ with the intention of commenting on (and in some cases leading) understandings of how we interact with the world on an individual and group level. This position of a learned society, rather than a trade union or representative body, brought the strength of an authoritative voice but within the safety of very limited formal responsibilities. Clinical psychology has of course always been part of the BPS in some way, but there have been a number of developments which have forced rapid evolution and evaluation of this bit of the profession. Recent examples include the introduction of the Health and Care Professions Council, Agenda for Change, NHS re-structures, the ‘marketisation’ of therapy, and austerity measures. This all pushed practitioner psychologists to the fore, by introducing competition (sometimes unspoken) whilst also increasing the sense of threat, as individuals and roles became more closely scrutinised. What we have seen over the last 50 years and more intensely in the last 10-15 years, is the development of a profession (clinical psychology) within a profession (psychology). It is important to say that the clinical psychology profession is largely made up of individuals who hold a significant amount of demographic and socio-economic privilege: many of whom are used to ‘getting our own way’ and we seem to have learned a lot of passive aggressive tactics in getting their needs met. It is also a profession made up of people who are often very striving and highly critical (of self and others). We are often also reluctant to share our own vulnerabilities and the personal motivations behind our professional positions. The push towards leadership in the NHS has also encouraged clinical psychologists to take on more leadership roles within their professional body. One of the challenges here is a potential culture-clash between those who hold employed positions in the BPS and those who are elected officers. Understandably those in permanent roles have an often unspoken objective of protecting their employing body (the BPS). This can lead to a risk averse position, as it is of course safer to avoid taking chances to do something good, than to risk trying something out which might go wrong. For people like me and others in elected roles, we perhaps favour taking a chance to do something which can make a difference, even if it comes with some risks. However, this is done from a position of not being subject to the long-term organisational consequences if things go bad. It must be very hard being in a permanent position, as people pass by in temporary positions, wielding their grand ideas and associated demands. These somewhat incongruent perspectives are felt but rarely spoken about. I have witnessed (and perhaps can be counted amongst) well-meaning and skilled individuals coming into elected roles believing they can make big positive in-roads, but actually finding that the power which comes with these roles doesn’t in reality match up to what was expected. The BPS President role, for example, is largely that of a figurehead, with little power to make decisions and organisational changes. The main problem in overcoming some of these differences in order to find a strong voice in keeping with our Royal Charter, whilst staying reasonably ‘safe’ and acting within our constitutional role, and at the same time dealing with new and challenges such as changes in employment law, is that the BPS office seems under-staffed. Its infrastructure has simply not grown in line with its membership size and the responsibility that comes with the roles BPS members hold in our professional lives. The organisational structures of the BPS are sadly outdated. This can be resolved quite easily: despite the relatively low membership fees, the BPS has the financial resources to evolve and grow, and indeed the current Structural Review may be a step in this direction. However, the people in positions of power need the inclination to change. Are they truly visible enough to fully engage with the membership and elected officers? Or are individuals in key decision-making roles distant from the current pressures faced by clinicians, and too invested in maintaining the status quo? We must have greater transparency and more professionalism within the BPS. Clinical psychology is at a pivotal moment in its development and many of us recognise the need to change in line with the environment in which we work, if we are to shape that environment for the better. Most importantly if we are to properly care for the people who access or could access clinical psychology input, then we need to be clear in our identity, roles, and responsibilities. We need a professional body to support us in that. It may be that this has to happen outside the BPS, but perhaps not. If clinical psychology is to remain embedded in the BPS then we need strong infrastructures, contemporary thinking, transparency, professionalism, and a caring approach to each other as colleagues. Sadly, I have experienced less of this than I would expect within the BPS. We now see a number of different groups developing alternatives outside BPS structures, some are further along than others. We need this action in order to press for change and show that there are other ways of representing our profession. However, my concern is that if the ‘crisis’ we are currently experiencing within the BPS leads to people wanting a fast solution, we will simply replicate the same problems which exist now in the BPS. We need a range of people involved in the discussions about our future, we need safe spaces created in which people can explore some of the problems inherent to clinical psychology (such as the limited diversity amongst those in positions of power), and we need to take things slowly in order to build them collaboratively. Wherever we get to next, we need to focus on the foundations. Those foundations could be renewed in the BPS or placed in a different space, but if we don’t focus on the foundations, the building will crumble.